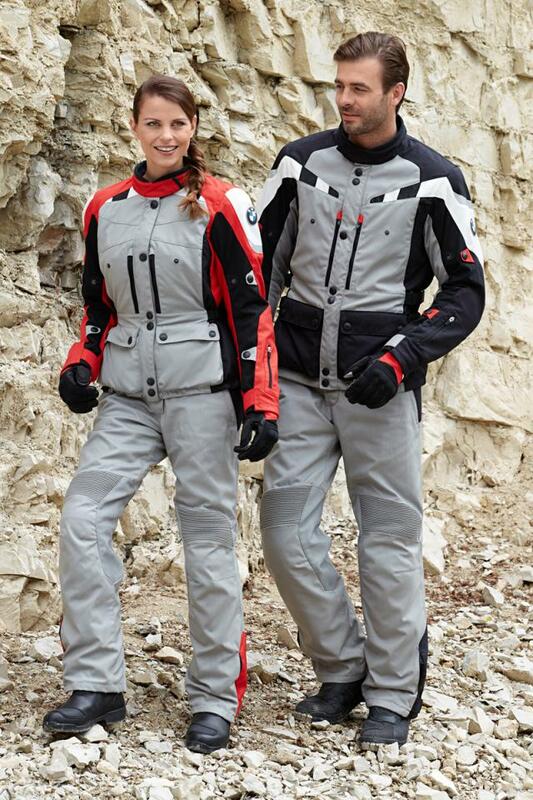 BMW has launched an all-new adventure suit and gloves called the GS Dry, designed to complement its GS range of adventure motorcycles, and has also updated its adventure boots and off-road helmet for 2013. GS Dry Suit: The all-new GS Dry Suit is ideally suited to new and younger riders; offering traditional BMW Motorrad design, comfort and safety and, above all, fantastic value for money. Crafted from breathable, tough Cordura 500 fabric, the GS Dry Suit is ready to take on any weather and terrain, featuring a wind and waterproof C.A.R.E Climate membrane and BMW Motorrad’s own NP protectors. Further small, but welcome, design touches include stretch inserts, air vents, reflective panels, leather paneling on high-wear areas on the legs and a selection of internal and external waterproof pockets. The GS Dry Suit, available in a selection of colours and sizes for both men and women, costs £750. GS Dry Glove: New for 2013 is the GS Dry Glove, a hybrid textile/leather blend with the outstanding Gore-Tex X-Trafit membrane. Offering protection from the elements on and off-road, the GS Dry Glove features abrasion-resistant SuperFabric on the hand and memory foam for impact protection. The GS Dry Glove, available in a selection of colours and sizes for both men and women, costs £85. 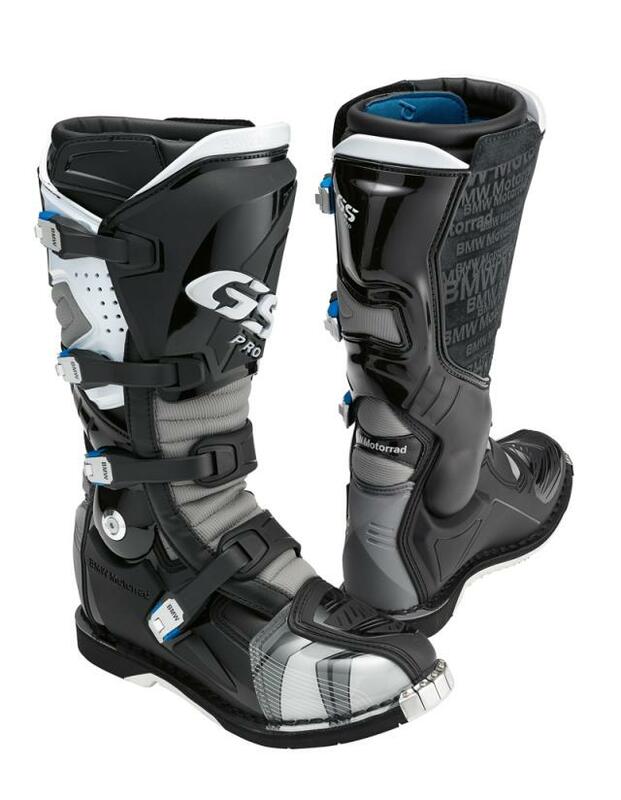 Rallye GS Pro boot: The outstanding Rally GS Pro Boot has refined with a host of small, but significant, improvements. It has a unique articulated ankle joint, allowing flexibility for riding and walking, but protecting against impact and torsion. 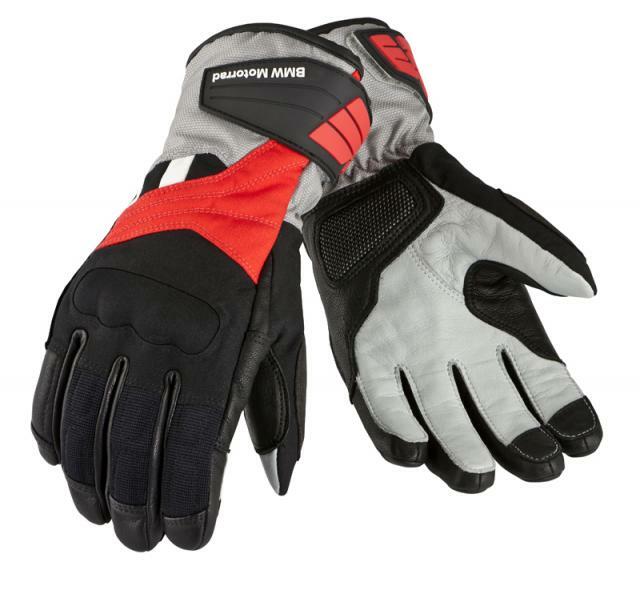 Comfort is equally provided for by a removable padded neoprene liner with gel cushioning. Even styling has been considered, with a striking new colour scheme for 2013. The Rallye GS Pro Boot, available in a selection of colours and sizes, costs £300. 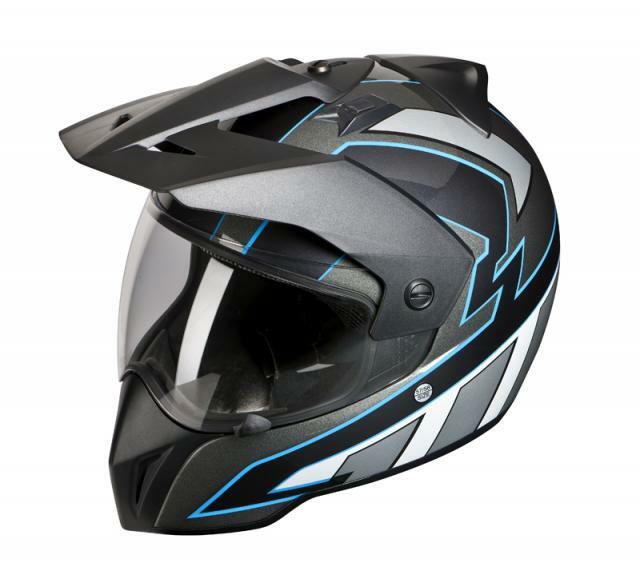 Enduro helmet: A striking new paint scheme for the versatile Enduro helmet echoes the colours of the all-new R1200GS. This glass fibre helmet is reinforced with lightweight carbon and Kevlar, ensuring the best possible protection at the lowest possible weight. Weighing just 1380g, it boasts a range of features including removable lining and chin pads, a detachable chin spoiler, peak and visor. These features, and more, allow riders to customize the Enduro helmet for different motorcycles and terrains, even mid-ride, with just a few seconds’ work. The Enduro helmet, available in a selection of colours and sizes, costs £330 for single colours and £350 for multi-colour options.